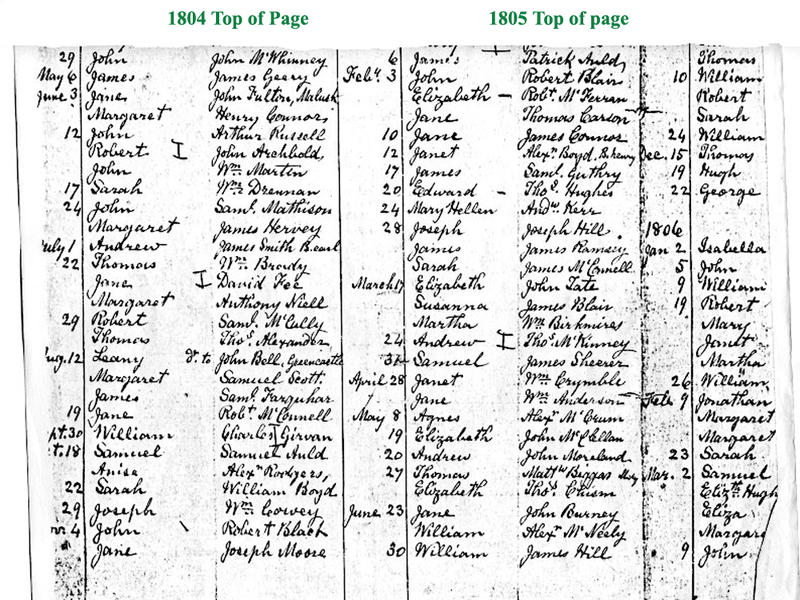 *Note: These are baptism Registers that were donated by Ruth Murdoch and have been transcribed on Co. Tyrone Ireland Rootsweb. 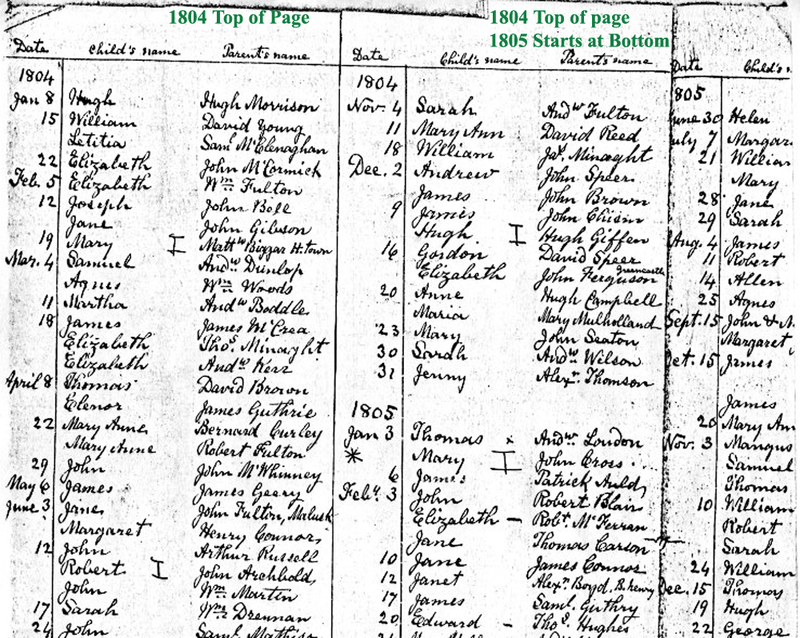 I (Tammy) have no information on if this is a complete record of available Baptisms during the years 1801-1863. 1804-1805 Top half of page. Click image to view larger size, then click the image that appears once, to magnify. 1804-1805 Bottom half of page.